…you wake up with new tattoos. 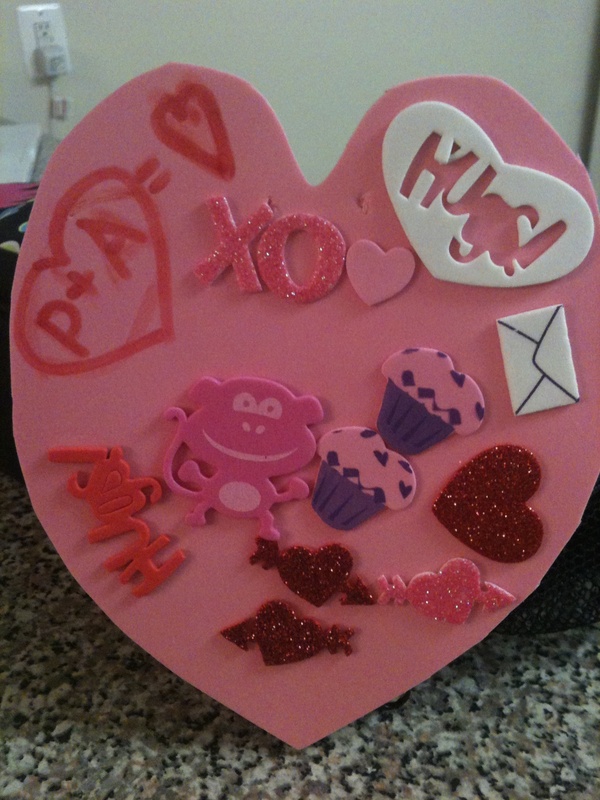 …you get a valentine from a boy named Andrew professing his love (P + A=Love) and he’s not your soulmate. 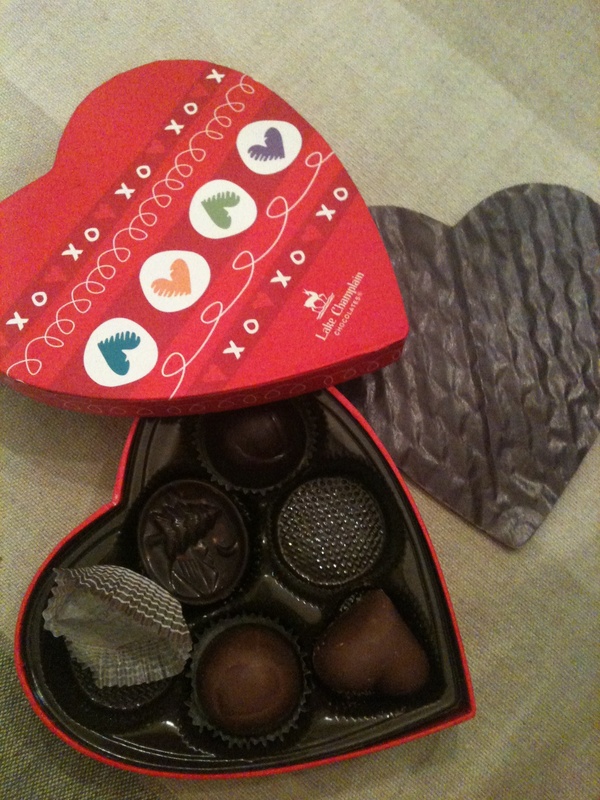 …you eat chocolate for breakfast. Again. 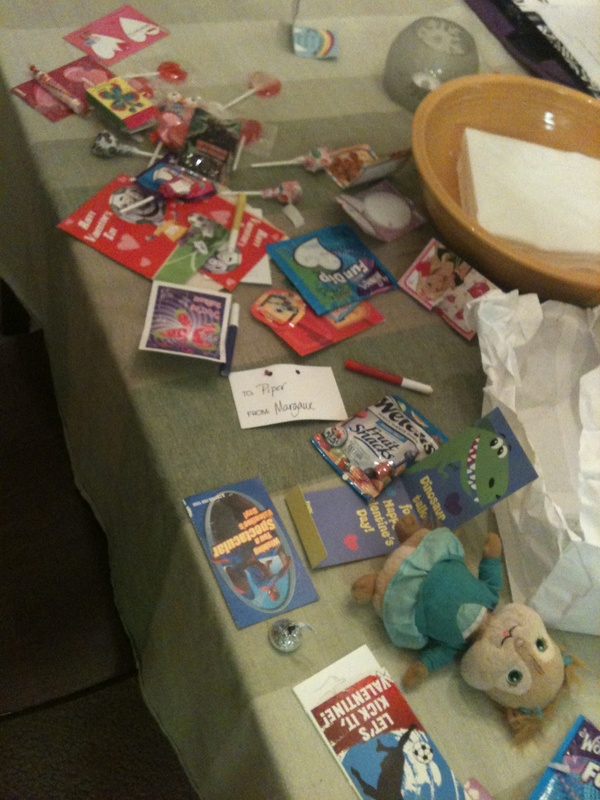 …you find your goody bag mess from the day before and it doesn’t look as fun. 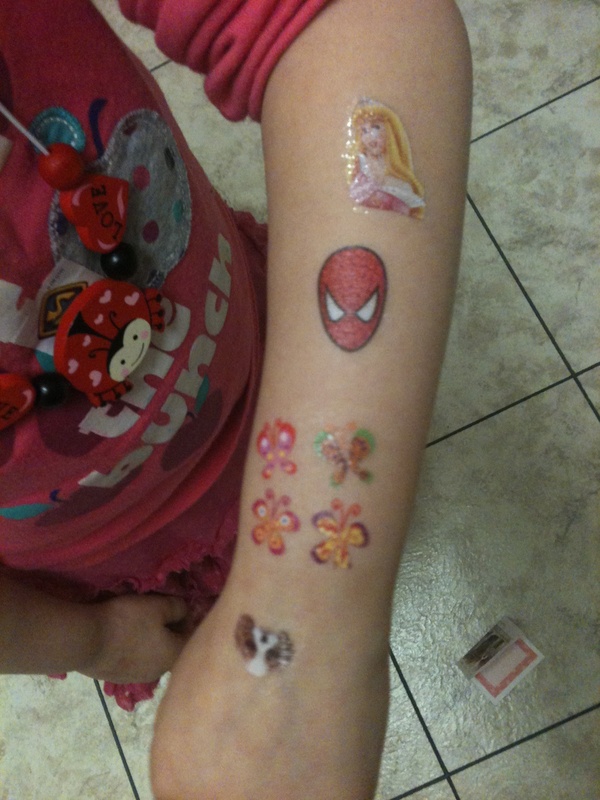 This entry was posted in Antics and Adventures and tagged chocolate for breakfast, goody bag, kid tattoos, piperism, soulmate, valentines day, valentines day hangover by melissa.scholes.young. Bookmark the permalink. She really is the mostest.